In this blog, I’m going to talk about 5 tips for making a bluegrass cover. I’m gonna drop some hard won knowledge on all the budding bluegrassers out there! 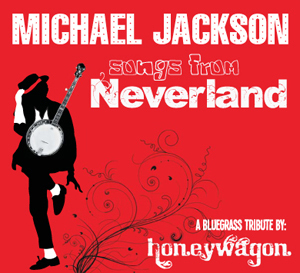 Honeywagon has recorded over 50 bluegrass covers and performed many others in our live shows. Over the course of the past 10 years of arranging and recording other artists’ bluegrass music, we have learned a few things that help us create what we hope is some really enjoyable music. 1) Know the song you are covering. I can’t stress this enough. If you don’t know the ins and outs of the song your are attempting to cover you will fail! It’s not enough to have heard the bluegrass tune on the radio a few times here or there. You need to download the original and get very familiar with it. Start with the chord changes and overall structure, verse, chorus, bridge, solo etc. Pay close attention to the lyrics and any harmonies that are in the original – they are often a great starting place. 2) Understand the fundamentals of bluegrass. 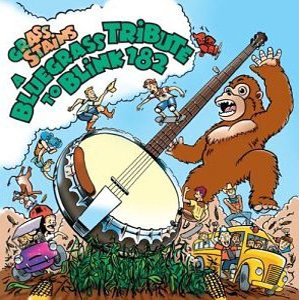 Since you are making a bluegrass cover, you will be working with a particular palate of instruments (Upright Bass, Acoustic Guitar, Banjo, Mandolin, Fiddle, and Dobro mostly). Have some knowledge of how these instruments fit together and how they are used in traditional bluegrass songs. 3) Consider your options. Often, when we are making a cover of a bluegrass tune the original just isn’t right for bluegrass. Taking a super-produced, studio smash hit like Lady Gaga’s Bad Romance and turning it into a bluegrass song means changing a lot from the original. Some of the options we often go to are: speeding up or slowing down a song (sometimes significantly), extending certain sections, writing our own changes for solo sections, re-arranging the song using the sections that are in the original but putting them in a different order. 5) Break all the rules. Hey the tips above are just guidelines. Feel free to add your own thing to the songs, add non-traditional instruments, put a rap on there, distort the vocals in your recording, find something in there that makes your sound distinctive! And of course if any one out there has specific questions about our process, feel free to post your questions in the comments here or hit us up on Facebook!